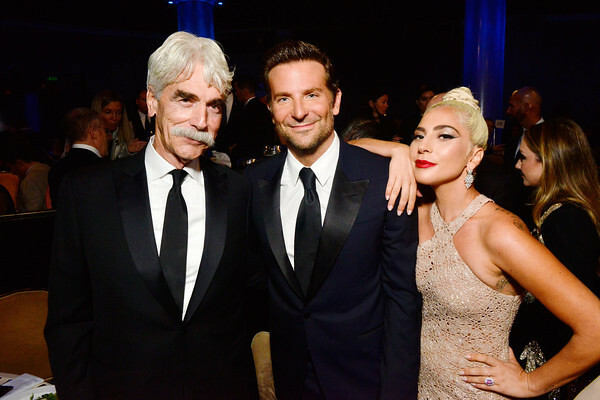 LADY GAGA HONORS BRADLEY COOPER AT 32ND AMERICAN CINEMATHEQUE AWARD GALA IN LA! Bradley Cooper took his place center stage as he was honored at the 32nd American Cinematheque Award Gala, held at the Beverly Hilton Hotel on November 29, 2018. Among those roasting as well as singing the praises of the A Star Is Born director were Lady Gaga, Sean Penn, Jennifer Garner, Sam Elliot, Patricia Clarkson and David O. Russell. Cooper’s career spans two decades, with the actor, writer and now director earning Oscar nominations for his work in Silver Linings Playbook, American Hustle and American Sniper. While Cooper is widely thought to be heading towards more Academy Award nominations for A Star Is Born, his other notable films include Wedding Crashers, The Hangover, The Place Beyond the Pines, Burnt, Joy and War Dogs.